The Film Festival will run for the whole month of July at different locations like Shangri-La Plaza Mall, UP Film Institute, Gaisano South City Mall Davao, and Ayala Cinema Center Cebu. 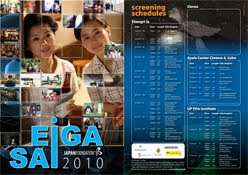 Around 2-4 Japanese films are played everyday for the whole month spread throughout the different locations. Admission is Free but just a reminder, you have to arrive at least two hours before the film showing to get the tickets. I'll definitely check out their movie lineup and try to fit it in my schedule. For the Film List and Schedule, click here. 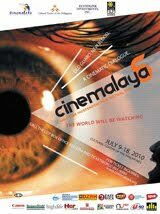 The 6th Cinemalya Independent Film Festival will run from July 9-18 at the Cultural Center of the Philippines (CCP). Though I'm not sure how you can score some invites or tickets, but no worries, there will be other screenings set to be scheduled at the University of the Philippines-Diliman and Robinson’s Galleria. For the list of films, click here. *photos are taken in their main sites.